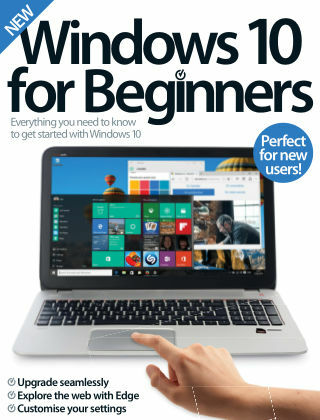 With Readly you can read Windows 10 for Beginners and thousands of other magazines on your tablet and smartphone. Get access to all with just one subscription. New releases and back issues – all included. Windows 10 sees the return to a system we all know and love: the Start menu is back. It also sees the introduction of your own voice-powered personal assistant, Cortana. You can ask ‘her’ what the weather will be, or ask her to tell you a joke. That’s not all, Microsoft have retired Internet Explorer and introduced Microsoft Edge, which allows you to annotate web pages, create reading lists and browse the Internet in style. In this edition you can learn more about improving your privacy and saving precious battery life.